Zodiac Cadet 260 NEO R.I.B. 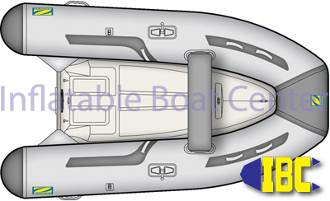 Our Products >> Zodiac Cadet 260 NEO R.I.B. The Zodiac Cadet 260 Hypalon/CSM/NEO RIB rigid hull inflatable boat is compact, robust, and offers a good level of performance. Its deep-V hull design offers comfort and a good ride quality that is desired when getting around the bays and harbors. The Zodiac Cadet 260 RIB is small enough to be handled by one or two once to shore, but has the capacity to carry all required gear and supplies. If you want a genuine two-part rigid hulled inflatable but can’t handle anything over nine feet, this is definitely one to consider.